The Panhandle is a unique growing region. Our average last frost is around April 18, and our first freeze is usually around October 20th. That gives us a ~185 day growing season. Unfortunately, things aren't always that easy for our farmers! Anyone with outdoor plants knows that tornadoes, hail, high winds, and extreme heat all pile up to add some extra challenges to farming here in the high desert. 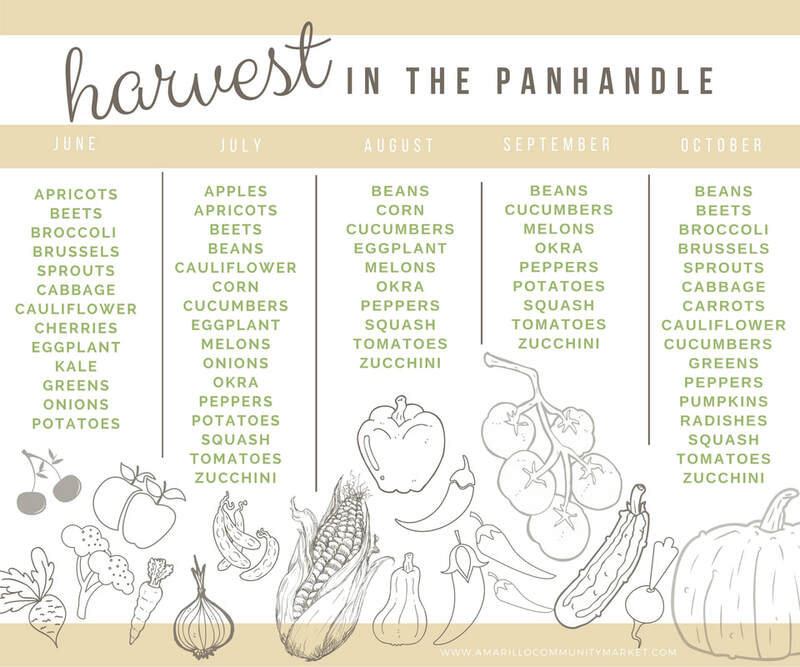 Use the handy harvest guide below to find what's typically available during harvest months in the Panhandle, but as always, mother nature has the final say.